Jumeirah (frequently spelt Jumeira) is an affluent residential area on the coast of Dubai. It is extremely popular with wealthy expatriate workers. Residential properties in Jumeirah are principally large villas. Prices here are amongst the most expensive in Dubai. 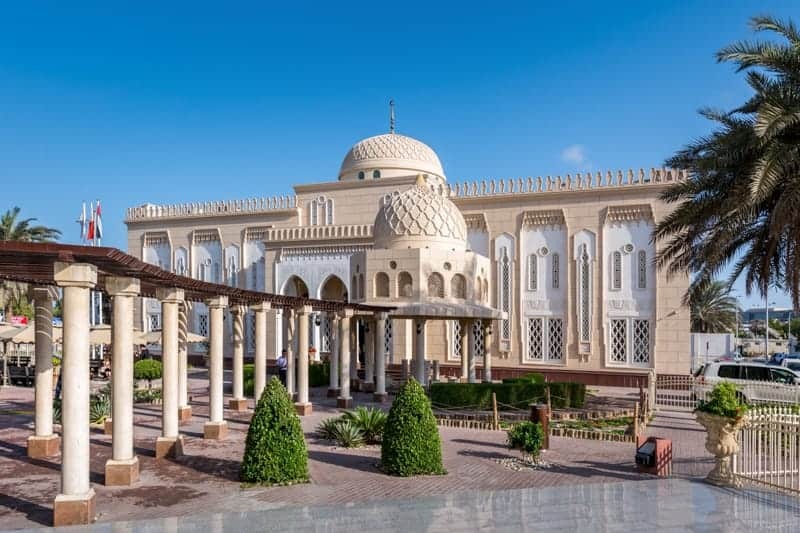 Hotels and places to stay in and around this area include Al Khoory Executive Hotel, Dubai Marine Beach Resort And Spa, Jumeirah Rotana, Four Seasons Resort Dubai at Jumeirah Beach, and Beach Hotel Apartment Dubai. 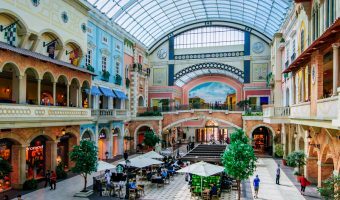 The largest mall in Jumeirah is the Mercato Mall. 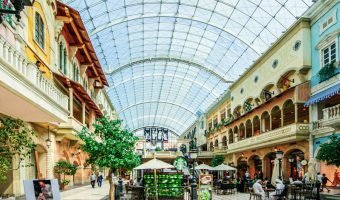 The Palm Strip and Town Centre Jumeirah are smaller malls catering mainly to the affluent ladies that reside in the area. There are plenty of small shops and boutiques dotted around the area plus a good selection of supermarkets (Spinneys, Union Co-Op, and Choithram). The colossal Dubai Mall is just a short drive from Jumeirah and is home to more than 1,000 stores. 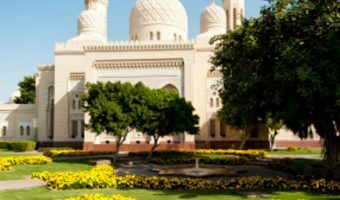 The Jumeirah Mosque is widely regarded as one of the most beautiful mosques in Dubai. 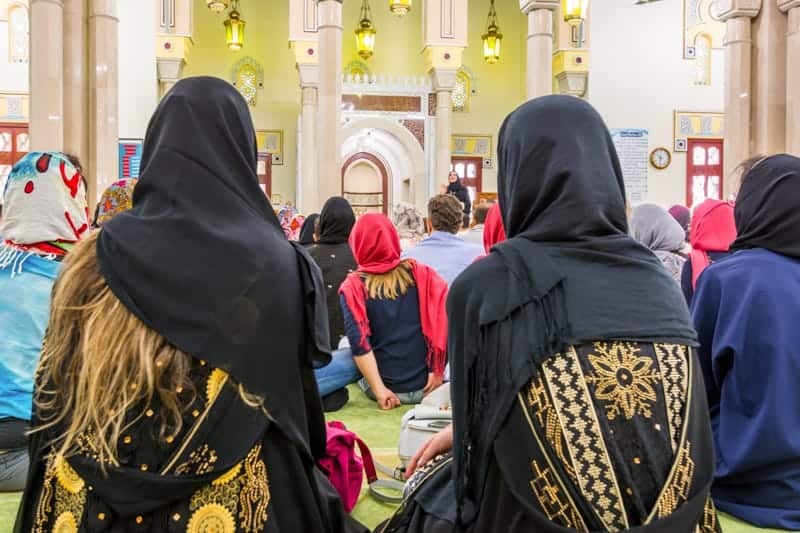 Non-Muslims can take one of the tours organised by the Sheikh Mohammed Centre for Cultural Understanding. Other attractions in Jumeirah include a 7-screen cinema at the Mercato Mall, the Dubai Zoo, and Jumeirah Beach Park. The Downtown Dubai development is nearby and offers a wide range of attractions such as The Dubai Aquarium & Underwater Zoo, KidZania, the Dubai Fountain, the Dubai Ice Rink, Sega Republic, and At The Top – Burj Khalifa. The Jumeira Baccalaureate School offers the International Primary Curriculum, IB Middle Years Programme, and the IB Diploma Programme. Schools in neighbouring areas include the Jumeirah English Speaking School and the English College in Al Safa, and the Horizon English School in Al Wasl. Interactive map of Jumeirah. Places of interest in adjacent areas (Al Wasl, Al Satwa, Downtown Dubai, Trade Centre etc.) are also shown. Click the symbols for details.